The role and direction of Aiki News has periodically shifted in the twenty years since its inception. We began our research focusing on the life of the founder and evolution of his technique. 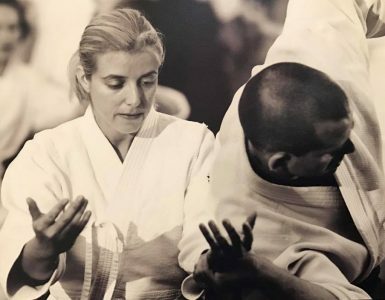 Our findings gradually steered us towards an in-depth study of Daito-ryu aikijujutsu, the technical fount of aikido, and its connection with modern aikido. This effort in turn led to a deeper understanding of the complex relationship between Morihei Ueshiba and Sokaku Takeda. In a similar manner, our recent thrust has been to delve into the topic of the Omoto religion and its charismatic leader, Onisaburo Deguchi. The subject of the influence of the Omoto sect on the thinking of Morihei Ueshiba has not thus far been treated to our satisfaction and we wish to conduct a thorough exploration to further our knowledge and for the benefit of our readers. As we have passed through these various stages, quite naturally, our understanding of the nature of aikido and its philosophy has deepened. We have found that many of the representations of the man, Ueshiba, and his art, aikido, found in books and articles prior to and coincidental with our own efforts have been superficial, misleading, and exclusionary. This has often placed us in the awkward position of publishing research whose results have stood in direct contradiction to prevailing views. This approach has brought us both accolade and condemnation, such I suppose being the lot of historical journalism. Let me sum up our “controversial” conclusions on the founder and his art. Morihei Ueshiba was an eccentric nonconformist who pursued a highly personal path in his development of aikido. Many of the opportunities afforded him in the first half of his life were made possible by the generosity of his loving father, Yoroku, and his considerable means. Ueshiba’s creation of aikido was viewed by the Daito-ryu school as an act of rebellion and show of disrespect towards Sokaku Takeda. Ueshiba was, on the other hand, loyal in the extreme to Onisaburo Deguchi, and many of his ethical views on budo were derived from this Omoto leader’s teachings. O-Sensei expressed his visionary views on budo as a tool for the peaceful resolution of conflict largely through the metaphors and symbols of the Omoto doctrine and this message has been simplified and altered with the elimination of this religious context as aikido has been popularized. To continue, Ueshiba’s religious and ethical views assumed greater importance in his concept of budo due to the physical and psychological devastation Japan suffered during World War II. Aikido in its modern form developed during the founder’s intensive period of study in Iwama which spanned the period of 1942 through the mid-1950s. Ueshiba’s main impact on aikido during the postwar period was in a spiritual and symbolic sense, rather than technical. The major technical influences after the war and those primarily responsible for the dissemination of the art were Koichi Tohei, Kisshomaru Ueshiba, and other second-generation senior instructors, and to a lesser extent, Gozo Shioda and Kenji Tomiki, of Yoshinkan Aikido and Tomiki Aikido, respectively. The aikido seen commonly today differs considerably from that developed by the founder during the Iwama years in the following respects. Atemi (strikes to vital points) have been de-emphasized or eliminated. The number of techniques commonly practiced has been reduced. The focus on irimi (entering) and initiation of techniques by tori [person executing the technique] has been lost, and the distinction between omote and ura blurred. Practice of the aiki ken, jo, or other weapons is infrequent or nonexistent. Aikido, although still considered as a budo by some, retains little of its historical martial effectiveness due to the soft, casual nature of practice and as such has been transformed into what could be better called a health or exercise system. I suppose that by boldly making the above statements I am “casting a stone into the calm waters of the aikido pond,” however, long-term readers will recognize them as logically deducible from the research that Aiki News has labored to present over the years. I, too, have been on the receiving end of criticisms from various quarters for holding and publishing such views. I remember one incident several years ago when I received a long letter from a well-known senior instructor which took me to task for delving into the subject of Daito-ryu to such an extent and for publishing comments which could be construed as critical of the founder of aikido. He then accused me of being disloyal to the aikido cause by engaging in such actions. Even though it hurt to read these things, there was never any question about whether or not we would publish this “unflattering” letter. To add to the indignity, we had to translate and edit these stinging words for publication. As it turned out several readers jumped to our defense with some “unflattering words” of their own directed at this disgruntled shihan. It takes a thick hide to stay in this field and be a survivor. And to think all I really wanted to do was to hole myself up in a library stall somewhere and write a few scholarly monograms that a maximum of fifty people would ever read! After so many years in this field my conclusion is basically as the old saying goes, “if you’re going to dish it out, you have to be able to take it!” Such critical comments from detractors, well-meaning or otherwise, can be likened to a sword thrust which should ideally be anticipated, avoided, countered with no intent to injure, and ultimately used to polish our own spirit! 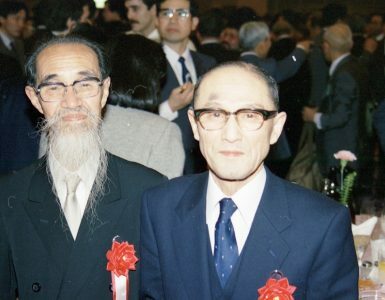 This article was written before I had researched the strong influence of the Inoue family of Tanabe on Morihei’s earlier years, and the extent to which he was the beneficiary of considerable financial support in pursuing many of his activities. For more on this subject, read my article Yoichiro Inoue: Aikido’s Forgotten Pioneer. I would have to say that this is much less true nowadays due to the widespread dissemination of the Iwama Aikido curriculum in Japan and abroad based on the teachings of Morihiro Saito. Thank you for a great Thanksgiving article. I always find it interesting to move with you from one subject of research to another and see the picture get more and more complete like a jigsaw puzzle. Praise to all aikido historians and especially your relentless efforts to find out the truth and let everybody know about it regardless of how they may react. Best 気! You bring up a very good point! “Tracing the old…” Indeed! I must congratulate you on the massive amount of work you have carried out over the years. By giving people the facts around the life’s work of Morihei Ueshiba, you empower them to make an informed decision on their perspective on the art of Aikido. Unfortunately many instructors and students stick to the ‘party line’ that came from above, and pass down their diluted version of it, etc. I believe that any serious student of the art should be subscribed and studying your work at Aikido Journal… Best Wishes! Can anyone tell me which issue of “Aiki News” this “unflattering letter” by a well known shihan was published in? And although I am relatively new to both aikido and Aiki Journal, I am very interested in the history and heritage of the art. The letter in question titled “Critical Words from Kazuo Chiba” appears in Aiki News #73 published in 1986. It is available on the back issue DVD along with all of the Aiki News / Aikido Journal magazines published over the years. A very good summary, Stan, of what is becoming a less controversial position as time passes and your research becomes assimilated into mainstream thinking. In time I suspect this will be the status quo, subject to minor modification in line with further research. Without your patient, systematic and dedicated research over a long period when the pioneers were still around to be interviewed, much of the primary material would simply have disappeared and we would have very little chance of unearthing what really went on. The Aikido world owes you a huge debt of gratitude. So far as “Ueshiba was, on the other hand, loyal in the extreme to Onisaburo Deguchi” is concerned, though, wasn’t it the case that his falling out with Yoichiro Inoue was because Inoue considered Ueshiba had acted in a dishonorable way and hadn’t ‘stood up and been counted’ when Deguchi was arrested but, rather, used his contacts in the military to distance himself from Deguchi and avoid arrest? Or is this an oversimplification? Your description of Morihei’s falling out with Yoichiro Inoue, his nephew, is accurate. This caused great friction between Morihei and the Omoto religion from 1935 going forward, although he continued his association with the religion after the war after its vindication by the authorities. Through it all, Morihei always showed great respect toward Onisaburo, and Onisaburo thought nothing of Morihei’s actions at the time of the Second Omoto Incident because he understood the circumstances and held no personal grudge toward the Aikido Founder. I think that the style of Aikido observed and subsequently developed by Saito Sensei during the Founder’s time in Iwama is without question of a solid technical stature. But I do not find the argument (fundamentalist or purist in form) that it is truer or more authentic than any other style of Aikido at all convincing. Such arguments are usually based on two kinds of fallacy – ‘genetic’ and ‘intentional.’ In the weakest form of the argument they are often present at the same time. Other styles make similar claims, but there is a discernible pattern of innovation in the evolution of all of these styles and one self-evident truth: none of the deshi of Takeda, Sagawa, Ueshiba, Inuoe, Shioda, Tohei, Saito, Yamaguchi (nor their deshi’s deshi) could match their teacher’s level of attainment – at least not yet. What does this tell us? Has something been hidden? Perhaps we are still too close in time to see clearly what has actually been going on and learn the valuable lessons that history can teach us. But I am sure that this is already changing. In order to learn those lessons, it seems to me that it is more fruitful to look at similarities rather than differences, to observe common patterns and principles that promote development, rather than follow blindly and conservatively imitative practices that might well stifle innovation. We live in a different world, with communication and access to more information than ever before. One effect of this has been to provide access to a wealth of material and broaden debate. Another effect, and a more negative one it seems to me, has been to deepen entrenched positions and dogmatic assertions that close off opportunities for innovation – particularly for those with a vested interest in restricting research and development for political purposes. As we move closer to our own time and down through the generations, we see this pattern replicated, broken only by occasional ‘mould breakers’ who research the past to inform the present. The founder of Aikido, and before him Sokaku Takeda, developed their art from a variety of sources and they undoubtedly drew on resources from the past. The historical relationship between Daito ryu and Aikido is well understood, but less well understood is the relationship between the Chinese arts and Daito ryu and other styles of Jujitsu. The relationship between China and Japan was once described by one historian in the following terms: ‘If China is a civilisation looking for a culture, then Japan is a culture looking for a civilisation.’ The Japanese have always borrowed from Chinese culture and we should not be surprised to see principles common to Daito ryu and Aikido exemplified in Chinese arts. The Japanese tendency to assimilate foreign influences and express them in a very Japanese way is an instantly recognisable trait – as is their denial of having done so. Yamaguchi Sensei once said that “90% of Aikido is hidden.” Much of Aikido, and what an insightful study of form can teach us, is that kata contains encrypted principles – the so called ‘internal’ dimension. What is often substituted, however, is the inculcation and repetition of techniques that can just as easily embed bad habits that can become very difficult – if not impossible – to remove further down the line. We should not be taken in by the appearance of omote and ura, irimi and tenkan. As experienced practitioners know, one is an extension of the other – they are not separate or opposites – and each compliments and adds dimensionality to the other. Perhaps we need to look beyond Aikido and Daito ryu to deepen our understanding with the proviso that, to invert Thoreau’s observation, ‘the farthest east is but the farthest west.’ We will not make much progress through imitation, but might profit from looking in other directions. Having studied several styles of aiki over the years I am in complete agreement that there is no “true” or “authentic” style of aikido. The “art” in martial art is completely subjective, grace and beauty are in the eye of the beholder. So then which is the most spiritual style? This question itself is of course silly, spirit is found in our hearts and minds, not in ANY form or style. What confounds us so, and will continue to inspire endless controversy is the fact that O’sensei did different styles of aiki at different times and places. At his small isolated Iwama dojo he continued his hard, intense, combative practice – and clearly demanded that Saito Sensei teach that way. But, when he traveled outside Iwama he emphasized entirely different principles to support the efforts of his son, Tohei Sensei and others who he had sent out of Iwama with clear instructions to modernize and evolve the art. But it is also true that there is a “best style” of practice for each of us. My government job requires that I often work alone, in the worst parts of town around dangerous people. A style of practice which is not very artistic or graceful, but very intense with explosive kiai and atemi, and a healthy battlefield emphasis on what is behind me – is the BEST aikido for me at this time in my life. From an Iwama “upbringing” I would like to bring what I would like to think is a different perspective on this older-than-I conversation. Saito Sensei was unique in the since that his goal was preservation. Other direct students are not known for making such claims. This is not to devalue their strengths or to judge them for not making the same claim, but there is a notable difference in intent. Saito Sensei displayed quite the conviction to say that he was doing O’sensei’s aikido but he also said (although not often) that whatever fault you found in his presentation or teaching was his failing to convey all of what he learned and not the fault of O’sensei. (I am not sure which of the exact “lost seminars” this comes from but it was at the beginning of one of the Italian sessions) This statement reminds me that even Saito Sensei saw himself on a path….not yet completed. The other unique aspect of Saito Sensei’s teaching is the focus on techniques not movements. This is not to be critical, but we have all experienced on one side or the other roadblocks because our movements or techniques get stuck in their respective pitfalls. There is a reason why Pranin sensei and others compare pictures of O’sensei to Saito Sensei; It is because the technique is easily compared in a still environment. Saito Sensei intentionally taught instead of demonstrated so that students would learn the distinctions between techniques and the difference between basic techniques in a laboratory and applied techniques that evolved out of the moment. Lastly, Mary Heiny said at a seminar in Richmond that what she experienced with the original deshi she was able to practice with was that you never felt like you were thrown, it was like you lost track of the ground. She said there was no resistance in their movements……Saito Sensei included. For us who study Iwama style aikido, we need to make sure to not lose focus on preserving that aspect of aikido along with the “techniques” we practice. 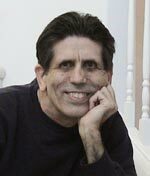 Thanks to your sterling work, Stan, ( as well as other authors like Ellis Amdur), people who are interested in practicing Aikido can have a real and truthful background of their chosen study. The founder regarded aikido as a misogi vehicle, whereby the collective practice of which can be channelled to amplify the beneficial effects on the whole world. He did not design it to be a fighting method, although he could indeed fight. So anyone who is wanting to learn how to fight had better seek elsewhere to avoid disappointment. On the other hand, this energetic healthy method does give one certain attributes which are conducive to skillful interaction. Principally, the uke practice makes one very nimble, sensitive and malleable as well as tough, the ‘aiki body’. Since ‘man makes the art, and not vice versa, one can go further and practice another method which includes freeform interrelational practice, be it striking or grappling, or both, using the ‘aiki body’ developed from aikido to hasten his/her progress in freeplay. Thus one would be capitalizing on aikido’s excellent beneficial effects while crosstraining in more fighting oriented practices. And this will still be a far cry from the hardships that Sokaku Takeda or Ueshiba experienced to attain their level of skill! It is up to each individual to educate him/herself then choose what one really wants to achieve. Thank you for another informative article. I must admit I refer to the information you provide when I teach my own students. You are a valuable reference to newer instructors who do not have the benefit of experiencing what has come before in the earlier days of Aikido. I hope your research and details of which makes Aikido a truly martial art puts to rest the other blogs (usually from other martial art groups) that question Aikido as a martial art. It seems that we always have to defend that which is “ours” to others. Because of this information I try to show my own students opportunities to use strikes during the various techniques. Some of the students who have trained in other arts agree with this concept. The only unfortunate point is that there is no one coming up through the ranks to carry on this work. Not could there ever be since we are all individuals. Therefore thank-you for your hard work and may it continue for a LONG time. “Do” is similar to “tao” with which Americans are more familiar. I would expand to say that it is a theme. Now, in Japanese a related meaning is “michi” or path. We all take a path. So, if ‘tao is like water’, “Do” might be likened to a valley. I worked on a ranch long ago. Since I worked there the creek has changed its course. The old main stream with the fancy concrete bridge is now a trickle. Staying with the fluid metaphor, Fragier Sensei once said, “O Sensei was like the ocean. Everybody brought their cup. If you want a hint of the ocean you have to look in all the cups.” One of the things I’m coming to see about O Sensei is that he was following his michi. Look at prewar swordsmanship compared to Iwama. Clearly Iwama swordsmanship owes much to Katori Ryu and that was absent in the prewar “Budo” film. So, at some point in our own paths we need to look in other cups. Tohei Sensei’s contribution was current when I started. Anybody who wants it now will have to make an effort. My efforts of recent years have been to absorb Inoue Sensei’s work and explore Daito-ryu. Neither of these would have been possible without Pranin Sensei’s research and publications. 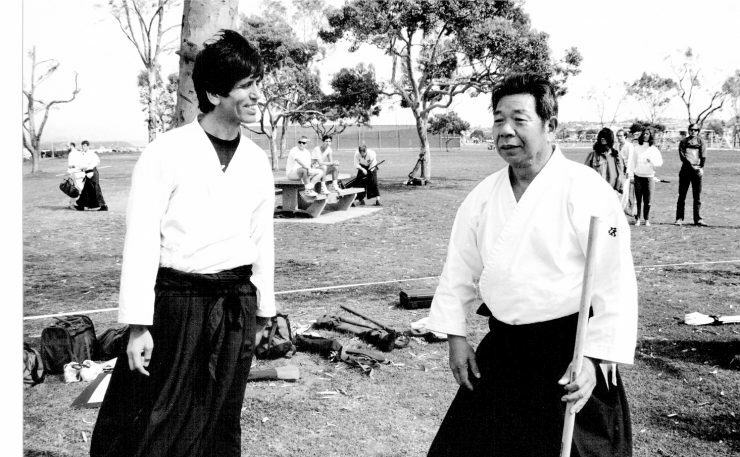 I was fortunate enough, for a time to study with Pranin Sensei and miss him.